Python is a widely used high-level, interpreted, dynamic programming language. Python supports object-oriented, imperative and functional or procedural programming styles. 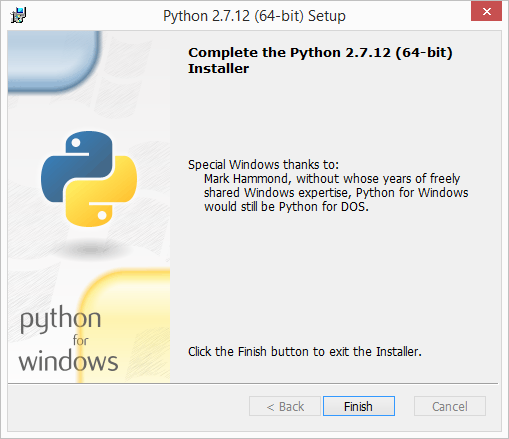 This tutorial will help you to install Python 2.7 on Windows system. 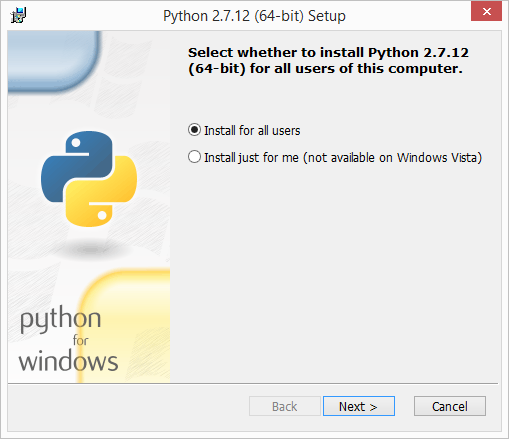 First you need to download Python 2.7 installer. 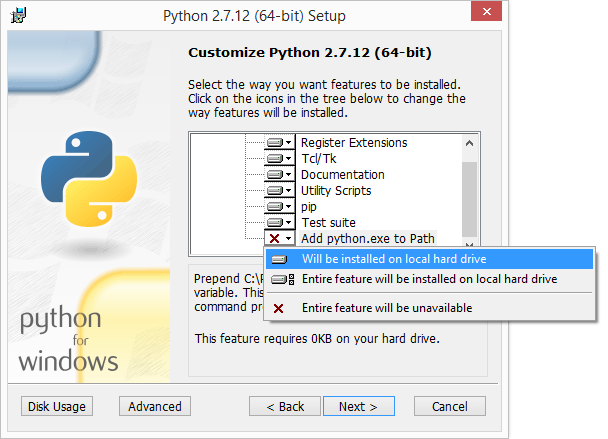 Visit Python official download page and download required version of installer. 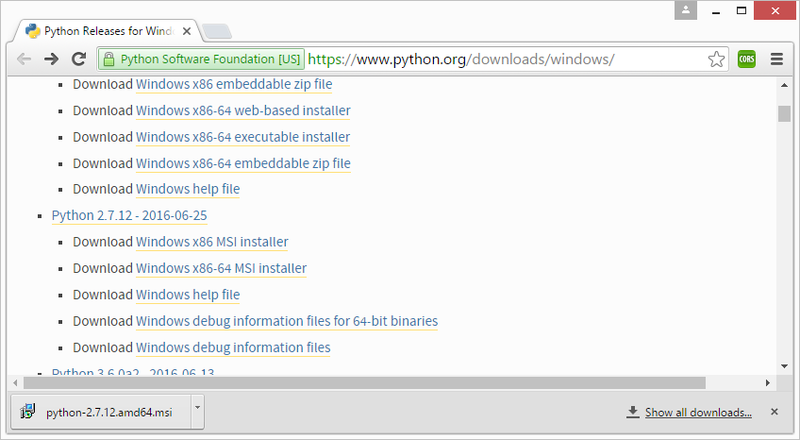 After completing download of Python run the installer by click on it and follow the installation wizard. Select the option install for all user or for current user only. 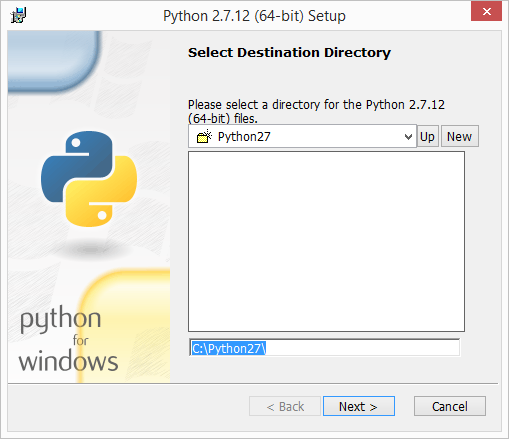 Now select the destination directory to extract and install python on your system. You can keep it unchanged and click Next. In this step customize your installation. Select or deselect options to install on your system. We recommend to select all options including add python.exe to Path. Now click Next. Now wait for the installation completion. On successful installation you will see message like below screenshot. 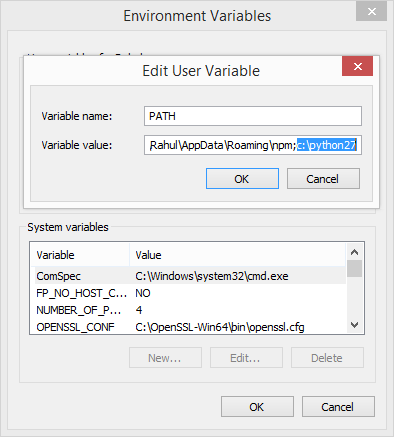 Open windows command prompt and type python command. If everything installed and configured successfully, you will see message like below. In case you get ‘python’ is not recognized as an internal or external command, complete below step to add python executable to your system environment path. Go to My Computer >> Properties >> Advanced system settings >> Environment Variables (in Advanced tab) and edit Path variable value and append path of your python installation directory.